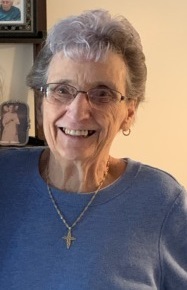 Obituary for Catherine Joan Mincin | Laughlin Memorial Chapel, Inc.
82, of Scott Township on Saturday, March 16, 2019. Beloved wife of the late John A. Mincin; loving mother of Richard (Marla) Mincin, Daniel (Susan) Mincin, and Karen (Patrick) Doyle, cherished grandmother of seven and great grandmother of five. Joan is also survived by her dearest friend, Ginny. Friends will be received at Laughlin Cremation & Funeral Tributes 222 Washington Rd. Mt. Lebanon on Wednesday from 2-4 and 6-8pm. A Mass of Christian Burial will be held at St. Simon and Jude Catholic Parish on Thursday at 10am. Interment to follow in Queen of Heaven Cemetery.